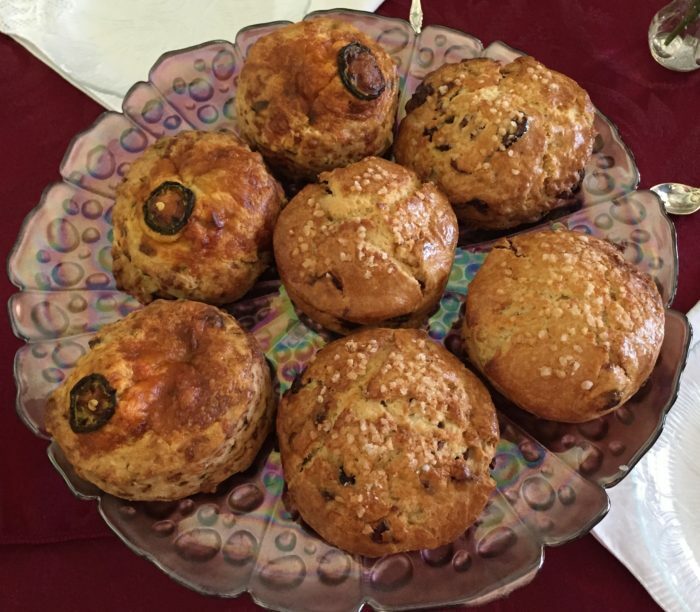 The theme for our annual Mother’s Day Tea this year was roses so we had my sister’s roses for the flowers, rose teapots, rose-colored dishes, linens and food. Once you have a theme it becomes easier to put the party together. 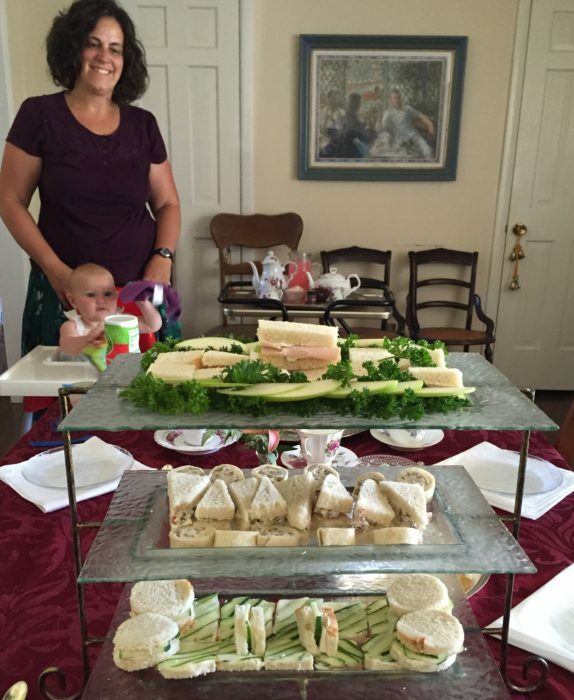 The sandwiches were arranged on a space-saving tiered stand. Here’s Mother and Daughter enjoying a magical moment. 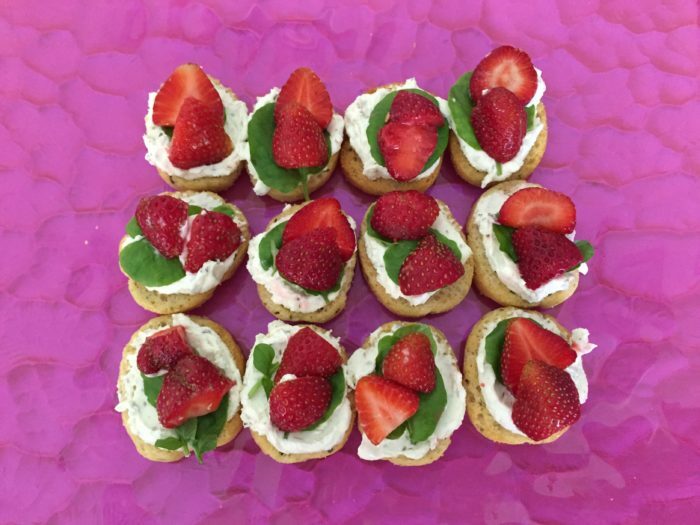 Garlic-herb goat cheese on toasted baguette topped with watercress and strawberry slices arranged on a pink glass platter. The strawberries were freshly picked from a local strawberry farm and they were so sweet and flavorful. Much better than grocery store strawberries. Yum! 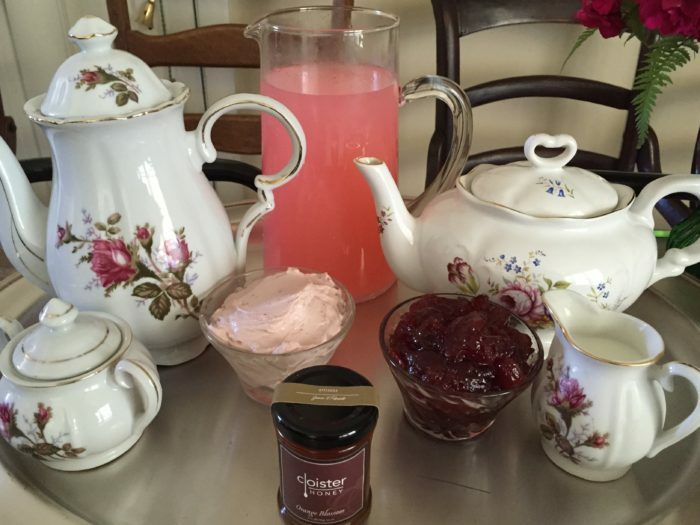 served with strawberry preserves and strawberry cream cheese and orange blossom honey. 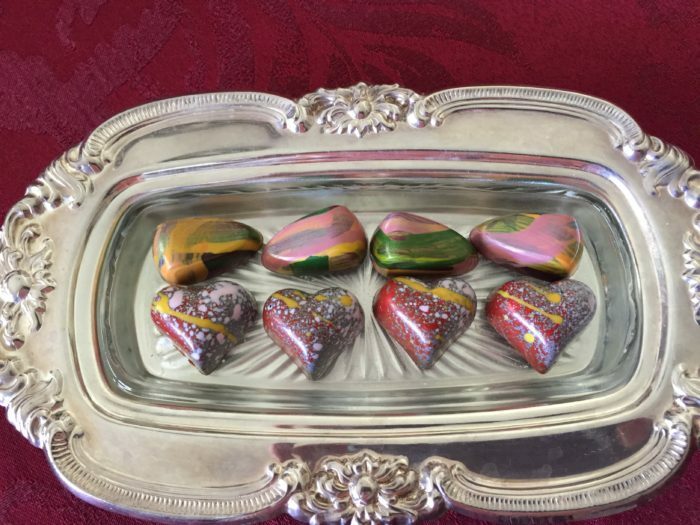 These chocolates are little works of art. Like many things in life they are fleeting. I’m glad I got a picture! 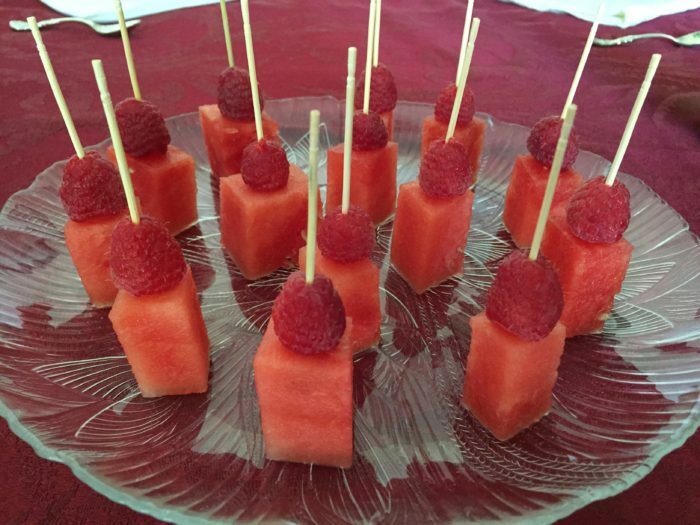 Watermelon and raspberry skewers – so easy and so pretty! Rose Tea – good for you and made with real roses. You can tell this black tea has roses in it by the unmistakable aroma. 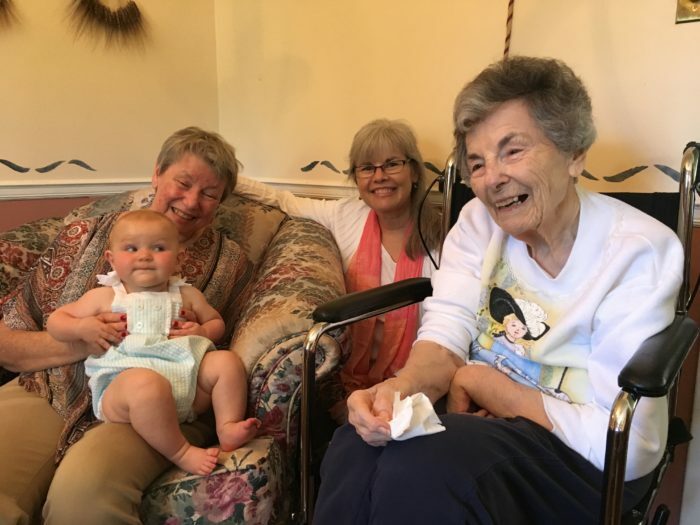 The most important thing for the day… Celebrating the Mommies! Laughter and love all around. 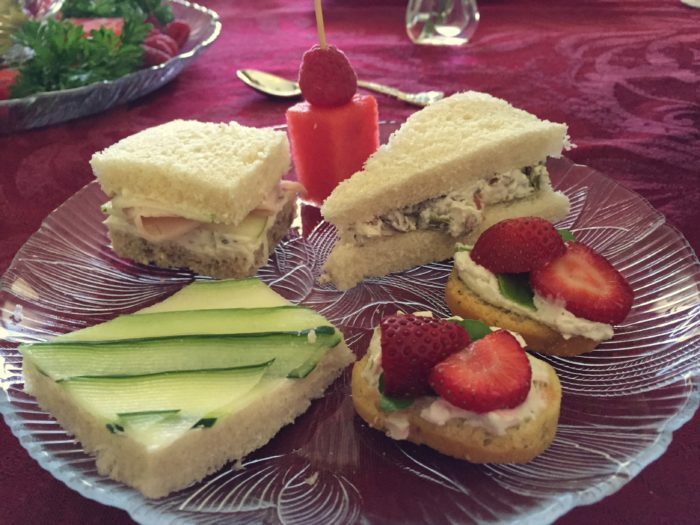 If you want to do something that’s fancy and fun for your Mom and other influential women in your life, try hosting a Mother’s Day Tea. Cheers!